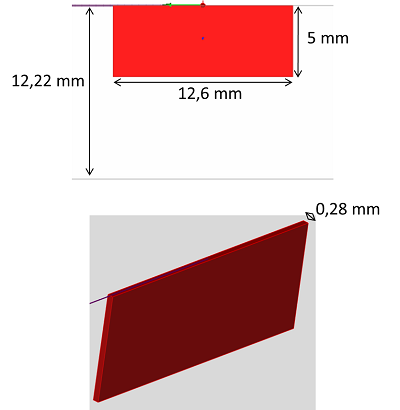 The experimental installation is shown on the figure below. 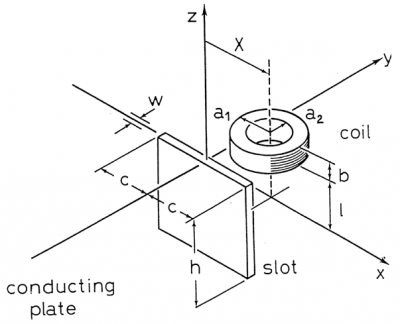 A circular coil move parallel to the x axis along the rectangular defect edge in an aluminium alloy plate. Frequency and lift-off values are fixed. 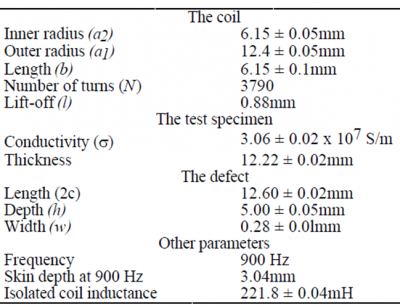 The impedance variation ΔZ is measured as a function of the coil center position. The inspected specimen is a thick plate of 12.22 mm thickness, in aluminium, conductivity of 30.6 MS.m-1 and relative permeability of 1. 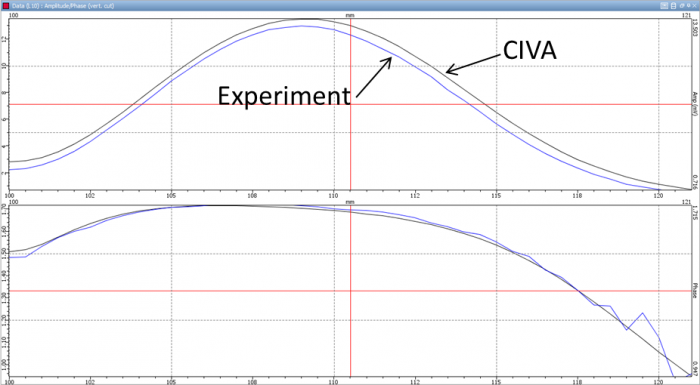 The probe is made out of a cylindrical coil at double function which geometrical properties are gathered on the figure below that shows the panel in CIVA allowing the definition of those properties. The acquisition is done at 900 kHz, with 1 mA in injection and reception in absolute mode. 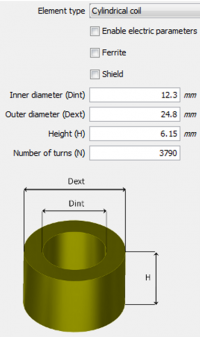 A non-trough and surface emergent notch is machined in the piece, as shown on figure below. Lissajous curves have been plotted and amplitudes, phases, real and imaginary parts as a function of the scanning are compared on the figures below. 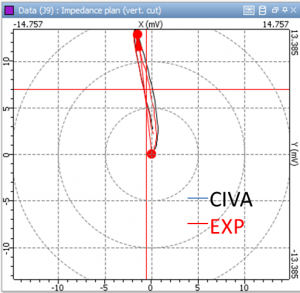 A very good agreement is observed between experiments and simulations. Finally, the table below gathers ampltudes and phases values and confirms the very low gap between experiment and simulation, less than 1 dB. 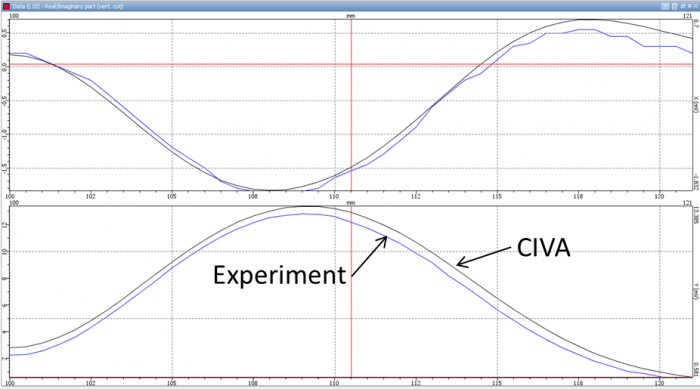 Maximal amplitudes values and corresponding phases, and discrepancies between CIVA and experiment (references: experimental values).